It’s Holy Week and I’m not ready for it. It’s been a busy Lent. It started out focused, but then life showed up. Did that happen to you, too? We’ve just been going, going, going with house projects and writing projects and ballet and karate lessons. We only hit daily Mass twice. Lent just didn’t turn out how I envisioned it would at all. Lent didn’t go like I planned, but that doesn’t mean it failed. We’re walking with Jesus into his death and resurrection. How do we do that? I think I’ll probably spend the rest of my life trying to figure that out. The Church has so much to offer us in her beautiful traditions that helps us enter in and this week is full to the brim of opportunities to participate: Holy Thursday, Good Friday, the Easter Vigil. The prayers, the food. It flows through our lives helping us walk with Jesus. But from where I sit now on my couch in the early morning darkness, the street light is illuminating several tiny sticky handprints on my living room window–representing the three small humans who all woke up for various reasons at 5am today, but miraculously fell back asleep (Thank you, Jesus). It’s not too late to try to walk with Jesus by loving my family a little better. To look my kids in the eye and stay engaged for that long rambly story they want to tell me. To not let the impatience slip into my voice when I get asked the same question again and again. To take a deep breath instead of exploding when the sibling squabbles or whining pushes me to my limits. Because Jesus didn’t put me in a cloister. He put me here in this family with a wonderful man and three kids to love. This man. These kids. God knew that I’m the sort of person that needs to clean up someone else’s poop daily, be interrupted constantly, and be forced to set aside my little wants for the needs of my family in order to slowly become a less horrible human being. I need my family to teach me how to love–how to walk with Jesus. Lent didn’t go like I planned and I doubt Holy Week will either, but that’s ok. I’m going to cover the crucifixes in our home with purple cloth. I’m going to turn on Handel’s Messiah–the part about the Passion. Because there’s still a few days left to prepare for Easter. This is Jesus time. This is a week full of grace–despite the sticky handprints. Because of the sticky handprints. Thank you! I really needed this! From chronos to kairos…we all need this shift, don’t we? Lent was like this for me, too – again. Not what I expected and just what I needed. What a gift, to have a God who works through our imperfection. Blessings on your Holy Week! Beautifully said! Thank you so much for the reminder!! The biggest cross always seems to be accepting things not happening as “planned”! Looks like you had a more meritorious lent than expected!! Thank you Haley..for reminding us of the grace many of us need this Holy week. This is one of those times of years where I feel the guiltiest…Because Life happened…Lent just didn’t turn out how I thought it would. Thank you for the reminder that this life stuff which seems to get in the way of my spiritual life so often is all in Gods plan for me.Thankfully because of the cross…and Gods grace we get to dive into this week and experience it for all that it is…even if we didn’t get all the boxes ticked on our Lent “to do” list. YES YES YES! I was just thinking this yesterday when I showed up at Mass surprised that it was Palm Sunday! Your words made me think of think of this quote from St. Catherine of Siena that seems so obvious but somehow made me “get it” a little better. “I require that you should love Me with the same love with which I love you. This indeed you cannot do, because I loved you without being loved. All the love which you have for Me you owe to Me, so that it is not of grace that you love Me, but because you ought to do so. While I love you of grace, and not because I owe you My love. Wow… yes. That’s really enlightening. I’ll write that out and treasure that one all this week. We’ve spent the entirety of lent with the Chickenpox crawling through the house. We haven’t been able to go to stations of the cross or mass for the entirety of lent (quarantine and all). It doesn’t feel like we’ve done a great job with lent and we’re totally unprepared for Easter (the baby currently has the pox). Thank you for the reminder that sometimes living life as a mother well, counts as enough and more than enough. This was great to hear this morning! I think we’ll try to observe some of the traditions at home (washing of the feet, reading the Passion,…). I’m hoping we can do Stations at noon on Good Friday, and then will go to Easter Mass on Sunday morning. Try to get them to nap before-hand if you can, and bring a blanket & pillow so they can stretch out under the pews if need be. Rope in a godparent or grandparent to help if you’ve got someone local. Lower expectations about proper church behaviour and be prepared to retrain them next week. For Vigil, it’s enough that they’re there. 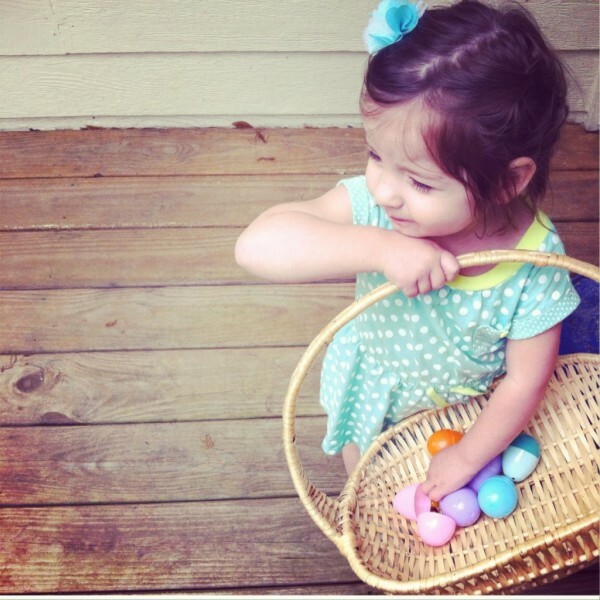 My husband and I have been bringing our kids to Easter Vigil for five years now (one year we scored an overnight sitter, and we stayed home when he had a newborn), and we’re always amazed that we haven’t had to bail. Oh, and take Easter Monday off if you can. It’s exhausting, but worth it. Thanks Haley. My thoughts this morning were similar. Having spent the past week and a half sick it feels like we are never going to climb out of the hole. This week is not about what I have done ore will do, but about what God and Jesus Christ has done. Grace for the graceless. I also wish to say that you feel like a true sister in Christ, setting aside the divisions of doctrine, this week we will all look to the work of the cross and the empty tomb. This was WONDERFUL. I feel you on so many of these thoughts, and I was just so refreshed by Palm Sunday’s mass! I had barely finished reading the title of this post when I started nodding my head. I’m not ready for Easter and am so grateful for these days of Holy Week. Thank you for your beautiful words, Haley. It’s really great motivation for me to think we’ll all be doing this together! I really needed this. Thankyou thankyou. Blessings for you, too, Rachel! You are an amazing writer and able to convey what every young Catholic mom of many littles is feeling. Thank you for this! I wasn’t ready for Lent. 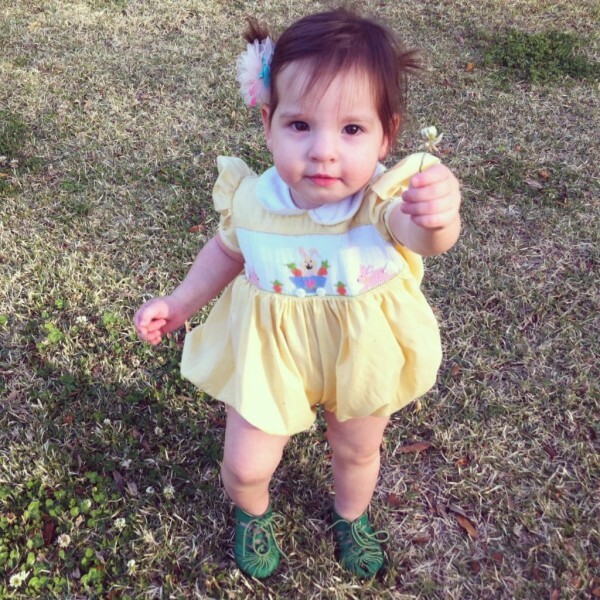 I fasted clothing…well, I wore one outfit for Lent. That sounds like something of a cop out because it makes my life easier and I will probably do it for every Lent for the rest of my life. But it quiets my appetite for things, for luxury, and that is what I needed this Lent. Just clicked over to your blog, Chrysten, and it’s lovely! Just adding to the chorus of those for whom this was very relevant and helpful—thank you! Thanks so much for this post. It’s a nice reminder that we need to find holiness in our vocation as mothers. I hope you can find some peace and feel close to God as Holy Week continues! I so appreciate how all of the masses get us ready, if we haven’t taken the time to do it ourselves. God has really been showing me my lack of love for my family. I’m going to put this on my bathroom mirror to remind me to practice loving- when it’s hard, unglamorous, stinky, dirty. If I can’t SHOW Jesus’ love in a visible way to my own kids, how will I ever show the world? Thanks so much for sharing. Didnt go to plan here also. Had in my min d what I wished to do during lent and holy week. The more I tried it seemed the devil was there all the time pushing back with obstacles. I went on a retreat though a few weeks ago and it was amazing brought to mind things where I could be better but also reminded me that all the little things we do each day we do for the Lord and we will be sanctified by doing them. I realised that I just need to keep trying each day. I’m hitting my first week with 2 children (3yo and newborn), and this is something that gets me thinkin.. I don’t know how exactly, but I’m sure I can do better than this. My family deserves more love and patience. This is my Lent this year (and last year, too). Started out smoothly and then life hit the blender. My discipline of no meat was going perfectly, but we got hit with some serious bad news, and I physically couldn’t handle the stress. I started getting really run down, so I let it go. I need to be on my game for my family. Thanks for the encouragement that Lent goes on, and Easter is still coming, and we can still do Holy Week even though things haven’t gone as planned!